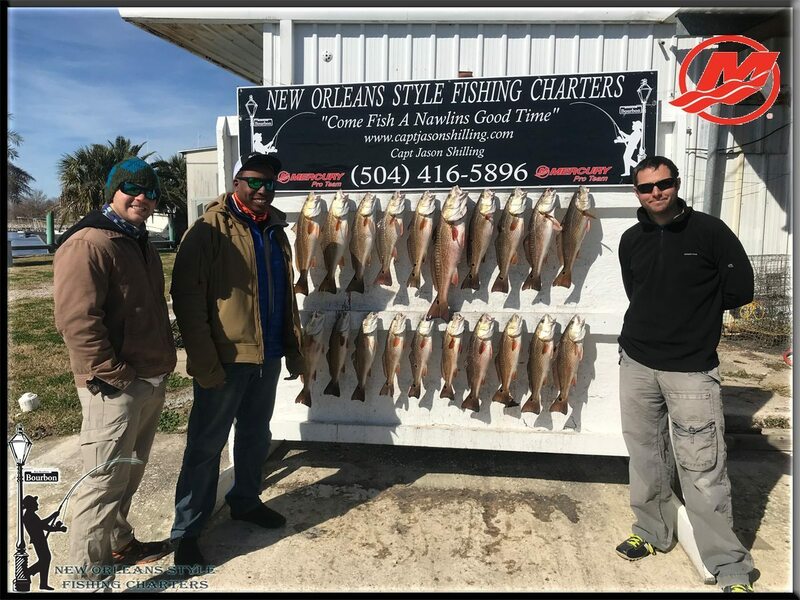 2019’s off to a good start with the red fish here in South Louisiana. It’s been a while since I’ve posted a report but that doesn’t mean we haven’t been fishing. To be honest its been pretty busy since my last report . We’ve mostly been catching red fish with the occasional speckle trout and a few black drum. The holidays were good and the New Year seems to be right on schedule with last year. We had a record breaking year last year and look forward to doing the same this year. Business was great and I owe it all to the continued support from each and every customer who put their trust in me and my team of professional captains to make their fishing trip a memorable one. I can’t express my appreciation enough!! January was a productive month of fishing , with most of our trips heading out in good weather . February has had a couple rocky days with some persistent cold fronts but we have been able to manage a box of fish. Since last years hard freeze the speckle trout have been very few and far between but the red fish have been able to make the days on the water fun and memorable for all. If your looking to get on the water while in town for Mardi Gras give us a call and …..